Over the holidays this year, the temperatures were frigid – sometimes as cold as -31 C, but often -20 C, so we spent a lot of time indoors. As a result, my sister Cassie and my mom and I watched a lot of the Great Canadian Baking Show and the Great British Baking Show while quilting and knitting, and it inspired us to try some new things, including this Chocolate Pavlova. Though Cassie swears we’ve made a Pavlova before, I can’t remember ever trying it, so as far as I’m concerned, this was my first one. I was initially going to go with a plain vanilla Pavlova, but Cassie was in the mood for chocolate, so Chocolate Pavlova it is! 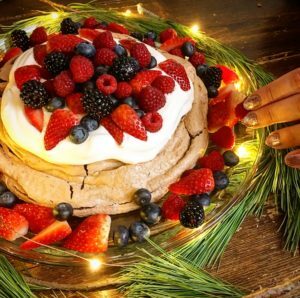 We made this for our New Year’s Eve get-together, and it ended up being both pretty and delicious, one of those desserts that doesn’t last 24 hours in our house. It’s simple, yummy, and festive, which makes it perfect for special occasions. Though it technically isn’t a tradition, since this is the first time we’ve tried it, I’m going to call this recipe a part of my Shaw Family Christmas Recipes series; you can find the rest of our annual cooking and baking traditions there. Draw an approximately 8-inch circle on parchment, then flip. Mix egg whites, brown sugar, superfine sugar, and salt in a very clean, dry, ceramic or metal mixer bowl set over a pan of simmering water. Whisk constantly until sugars dissolve and mixture is warm, about 3 minutes. Remove from heat, and beat on medium-high speed until stiff peaks form, about 8 minutes. 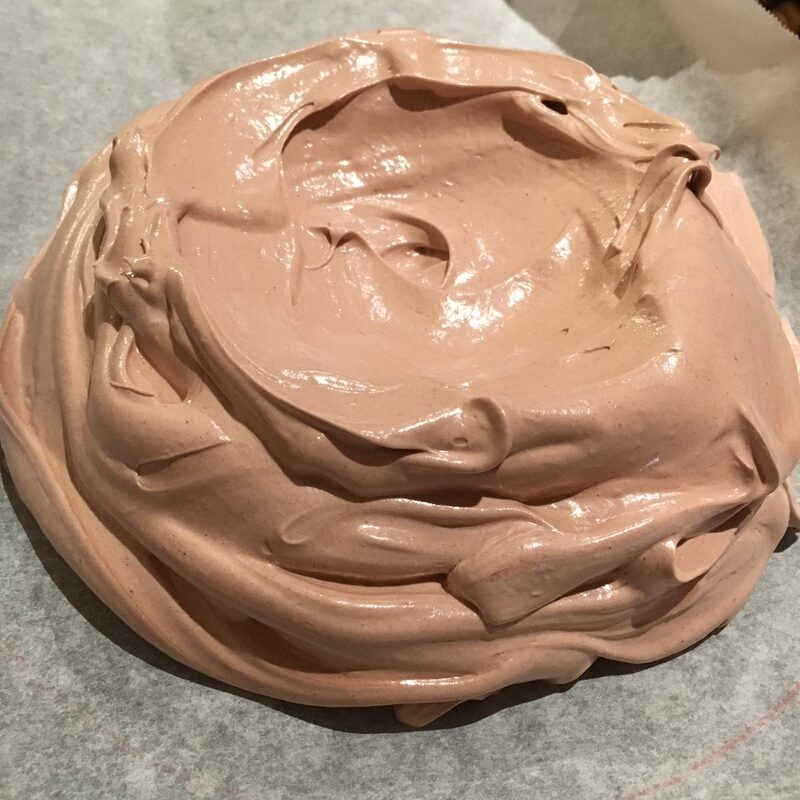 Sift cocoa powder over meringue, and fold until barely any streaks remain. Form a well in centre, being careful not to spread meringue too thin. 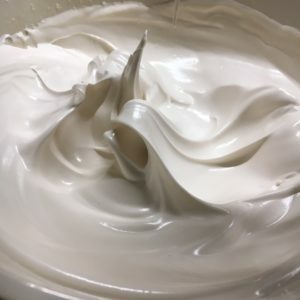 Bake meringue until dry to the touch, about 1 hour. It will rise and spread. Chill a glass/ceramic mixing bowl. Add whipping cream and maple syrup to chilled bowl. 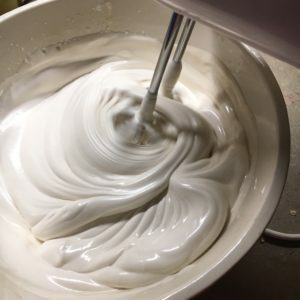 Whip on medium-high setting until mixture reaches desired consistency. Spread whipped cream evenly in center of meringue, leaving a 1/2-inch border from edge. Garnish with fresh fruit, and serve immediately.